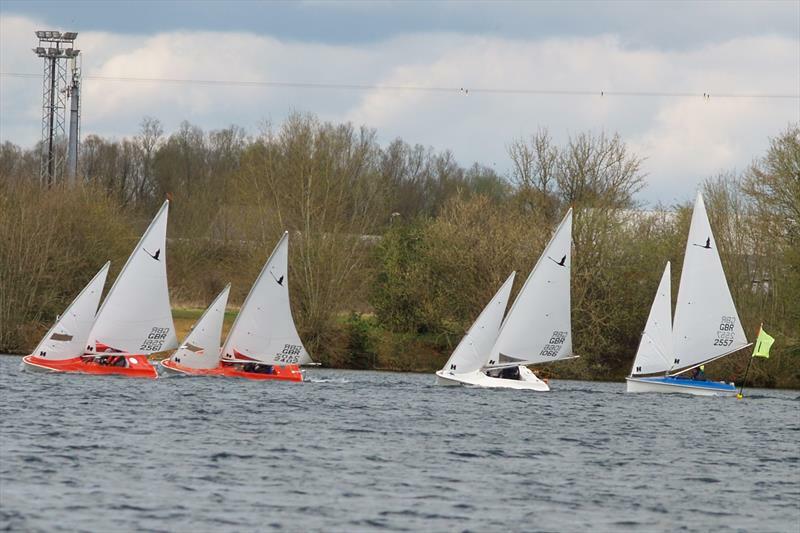 The first Hansa Class UK Travelling Trophy event was held last weekend (16th April) at Whitefriars Sailing Club in the Cotswold Water Park. 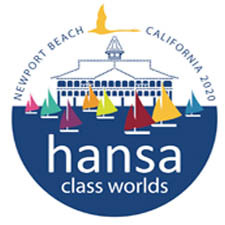 It was expected to attract at least 25 boats from around the country, as sailors prepare to travel to Holland for the Hansa World Championships in early June; there are 19 boats making the journey from the UK. Unfortunately, the forecast for Saturday was strong Arctic winds, which deterred many sailors from entering. The few who did make it reported travelling through snow storms. As it turned out, the weather was not as inclement as had been predicted, and the event went on without a hitch; although the temperature didn’t get above 5c. Ivor Keats set up a challenging course which required sailors to anticipate the favoured side on each leg, and to hold their nerve to carry through wind holes. This was not always easy in the shifty conditions, especially on inland water surrounded by trees; the regatta would be won by those who made good decisions, and who maintained their concentration. In the Liberty fleet, old friendly rivalries were brought together. 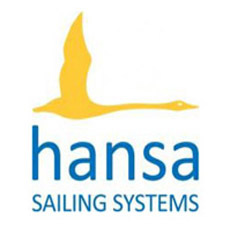 Paul Phillips, David Durston, and Monique Foster had all enjoyed podium places in the Hansa European Championships last year, and also in the UK National Championships. Paul came out on top in the Europeans, whilst David took the honours in the National Championships. 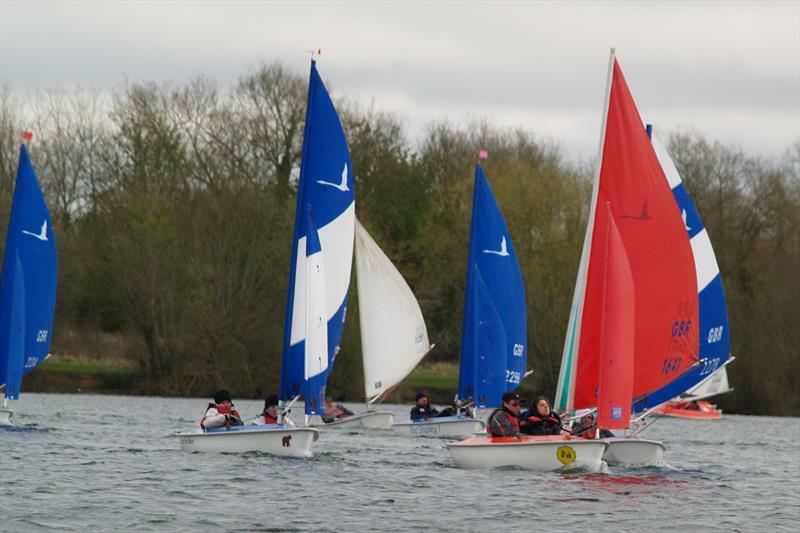 Paul decided not to race in the morning because of the cold, which left the door wide open for David from Whitefriars Sailing Club to secure 2 first places. Monique and Tess Watkiss both achieved a 2nd and 3rd place each. In the afternoon Paul could not resist, and after the lead changing many times in race 3, he secured a 1st place with David relegated to 2nd. David had a poor start in the final race, but somehow managed to chase down Paul over the 4 laps, making a good choice of tack on the 3rd beat. The positions for the whole event finished with David in 1st, Paul in 2nd, and Tess 3rd. The biggest fleet on the day was the Hansa 303 2 person boat. The first race was taken by Ian Clement, with his crew Callum; but unfortunately they had to retire during the 2nd race. Chesil sailors, Anya de Longh and Tim Scarisbrick, came back strongly in the 1st race after a disappointing start, and finished 2nd. This proved to be their only slip, and they achieved 3 1sts in the remaining races. Further down the fleet there was much changing of positions and some close quarter racing, which was good to watch. By the end of the 4 races, father and son team, James and Jack Woosnam from Frensham Pond Sailability came out in second place, closely followed by Martin Hedley and Steve Kitson from New Forest Sailability. In the smallest of the Hansa boats, the 2.3, Lindsay Burns made a great start in the first race to finish 1st ahead of her old rival Ann Lewis. Chris Stout from Whitefriars SC struggled to familiarise himself with the boat and came in 3rd. The 1st 2 positions were reversed in the 2nd race, with Ann coming out on top, settings up a showdown for the afternoon. Unfortunately Lindsay wasn’t well in the afternoon, and could not contest. Fuelled by Pete Bone’s tasty chilli, Chris found his form in the afternoon, and beat Ann in both races. This resulted in a 2nd victory of the day for Whitefriars Sailing Club. The support team were amazing on the day, with many of the club members getting involved with safety cover, and in the race team for the first time. They were quite impressed by the high level of racing and competitiveness across all the fleets. Seeing the Sailability volunteers hoisting 11 sailors into position, filled the new team with awe at what could be achieved in a boat by people with such a diverse range of disabilities. Results from the Scottish TT series event, held last week, are available here.